Closed: 5.75" w x 10" h. Open: 20.5” w x 14.25”h. Do you have a Fort Worth size collection of double points and circulars? This is the case for you. 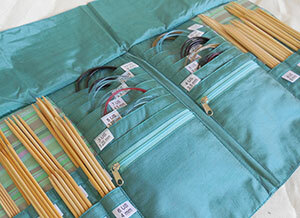 This newly redesigned DPN and circular case holds one complete set of DPNs and multiple sets of circulars. There are unlabeled pockets for any extra DPNs or circulars. 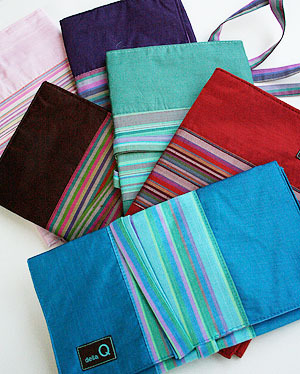 Quad-fold design securely holds your needles. Includes two small zip pockets for notions. If James Bond knit, he'd carry this case.